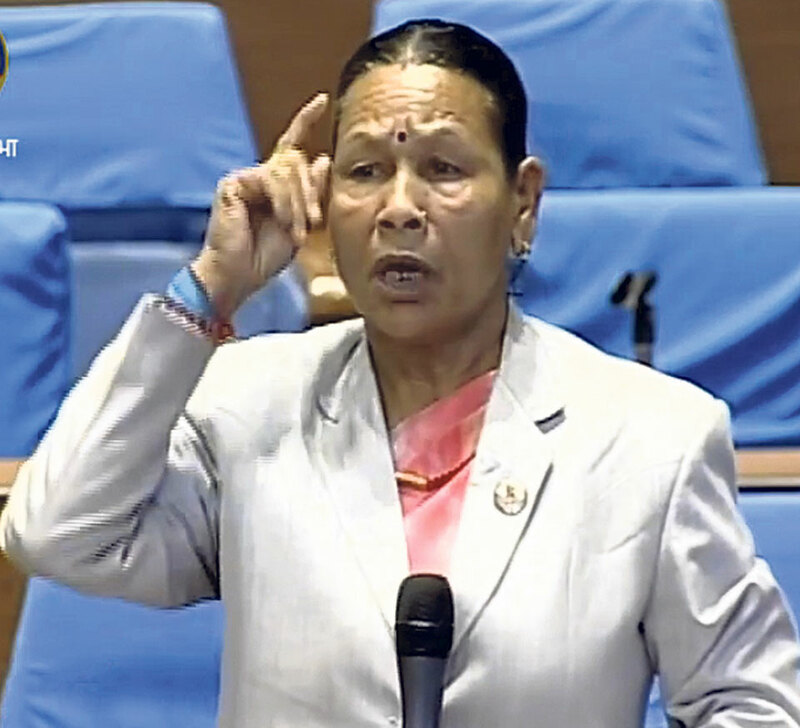 KATHMANDU, June 5: Lawmaker Kaludevi Bishwakarma shared her month-long struggle to rent an apartment in Kathmandu, at a meeting of the House of Representatives on Monday. There was pin-drop silence in the chamber for a few minutes when she was speaking. Federal Socialist Forum Nepal (FSFN) lawmaker Bishwakarma, who hails from Kailali district in Province 7, spent over a month finding a room in the capital after being elected lawmaker, said her husband Dan Bahadur Bishwakarma, who is FSFN deputy general secretary . “At least five landlords wriggled out of renting us a room after learning about our caste. It left us depressed,” Dan Bahadur told Republica. However, the couple did recently find a room in a house at Koteshwar. “The new landlord is kind and doesn’t discriminate,” he said. Lawmaker Kaludevi’s grievances came out on the same day the country was marking the 13th racial discrimination and untouchability eradication day. Speaking at the House meeting, the lawmaker vowed that all lawmakers from the Dalit community will unite and speak out against discrimination and untouchability. “We will die but never give up our fight against such discrimination,” she said. Expressing discontent over the cheap rhetoric of ending discrimination in the country, she said that the word Dalit should be expunged from official records and the so called Dalits should be referred to as artisans. Items we craft for installing in temples become sacred and are worshipped but we ourselves are still discriminated against,” the lawmaker said. She also demanded strict implementation of the existing laws against discrimination.